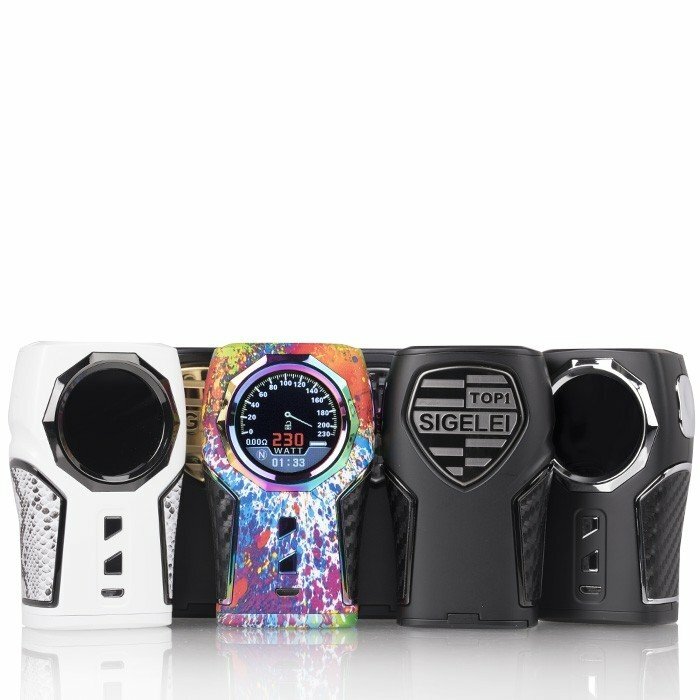 Inspired by a futuristic speedometer design, the Sigelei TOP 1 230W TC Box Mod delivers a truly unique chassis highlighted by the large 1.3" Full-Color OLED circular display and a robust 800 microsecond instant output chipset. The Sigelei TOP 1 is brilliant constructed with a modern metal textured design with carbon fiber inlay at the grip section. The crowning achievement lies within the impressive speedometer-inspired OLED display, featuring a full-color vibrant screen for a dynamic operational experience. Powered by dual 18650 batteries (sold separately), the internal chipset the TOP 1 can fire up to 200W along with full temperature control and onboard support for Ni200 Nickel, Titanium, and Stainless Steel heating elements.